Celebrity blogger, Linda Ikeji shares a photo of her nephew, who her sister, Laura and Brother in law, Ogbonna Kanu welcomed in the United states. She revealed that she can not wait to be a mother. 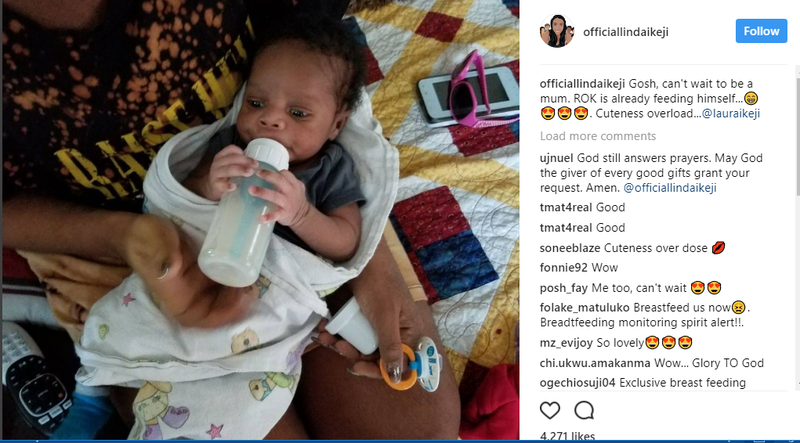 Linda Ikeji disclosed this on her instagram page and shared a picture of her nephew.